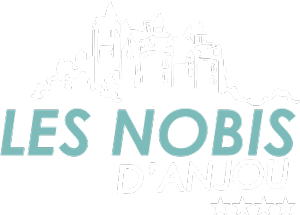 Restaurant Les Nobis d’Anjou in Montreuil-Bellay near Saumur welcomes you for lunch and dinner from April to the end of September. 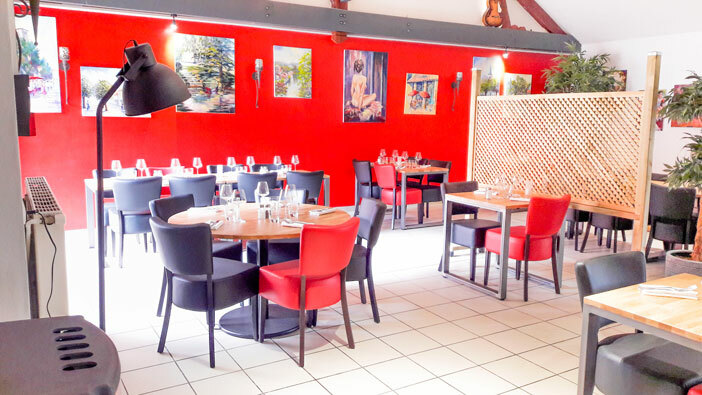 Thierry and his team offer you a tasty traditional cuisine with seasonal products, served in a warm and friendly setting. 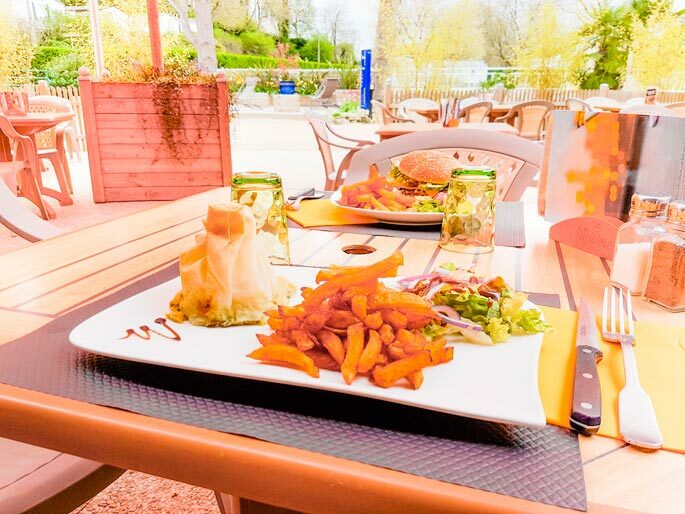 The restaurant welcomes you in its dining room and as soon as the sun comes out, on the large 130 m² sunny terrace with shade sail. 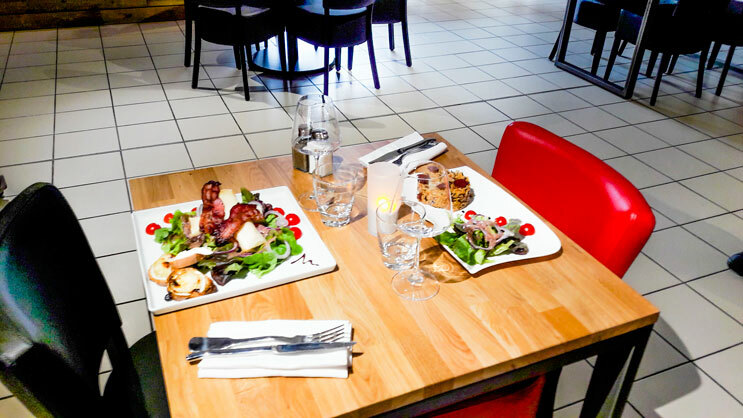 Before dinner, you can have an aperitif at the salon bar or make a billiards game. All the ingredients are there to have a good time of fun and relaxation! Reception for groups and receptions on request. 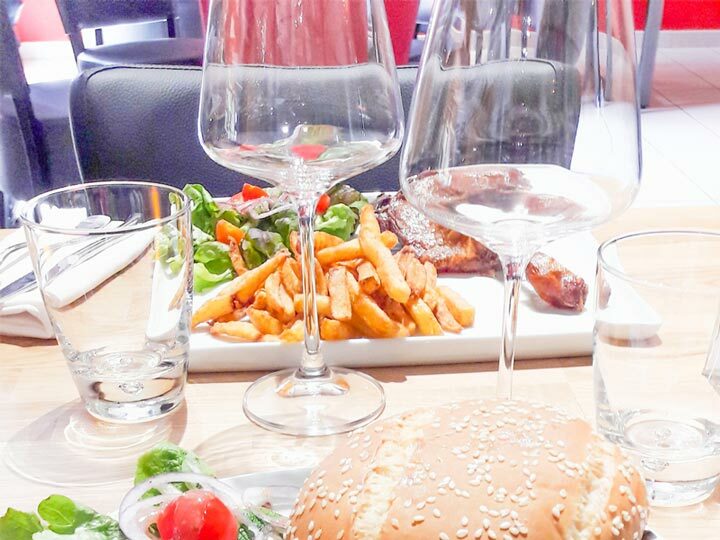 You can now discover our menus to download. 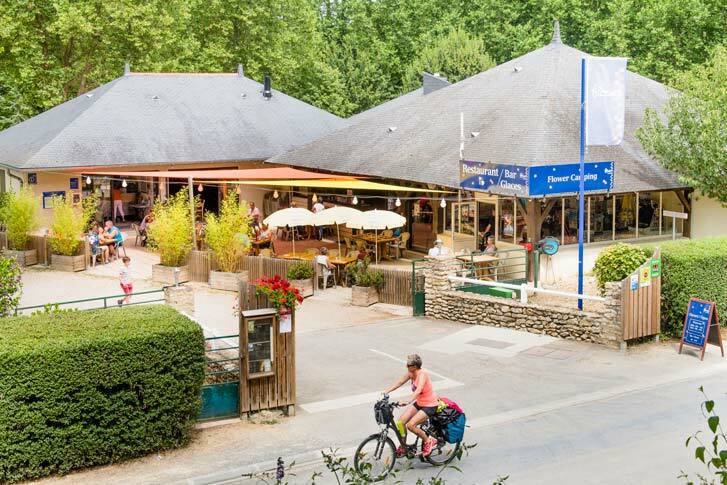 The restaurant at Camping les Nobis d’Anjou welcomes you in a warm and friendly atmosphere. 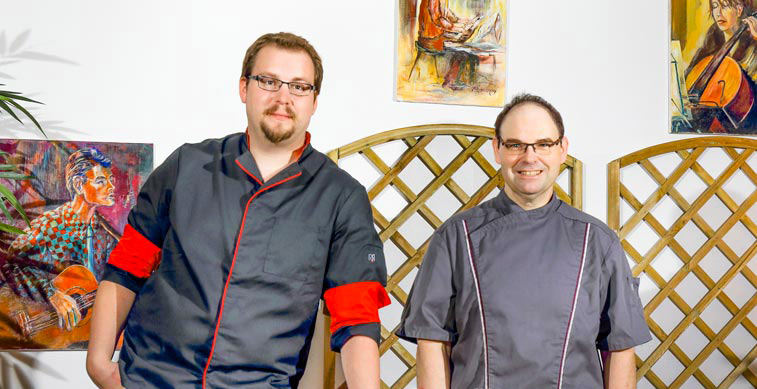 We offer you a gourmet, generous cuisine and we will awaken your taste buds with “homemade” food. 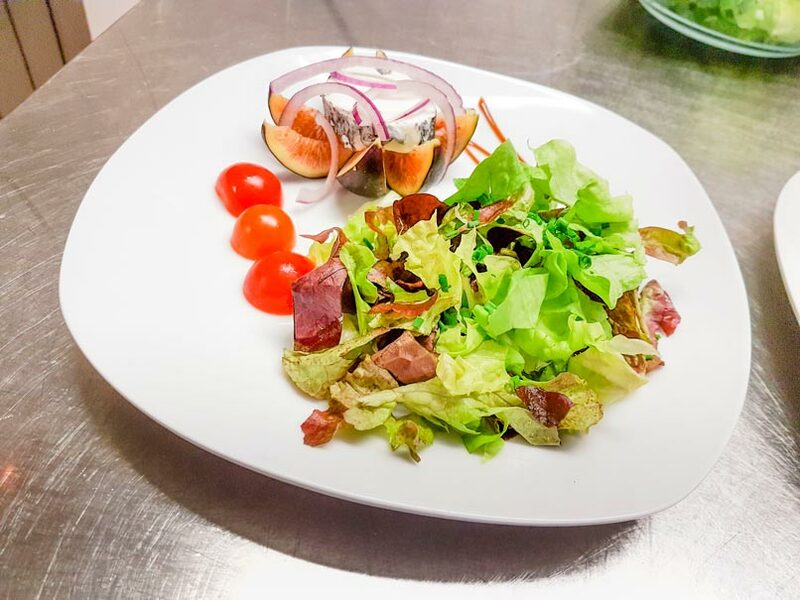 We are committed to developing our recipes with fresh and local products, sprinkled with wines from our regions. 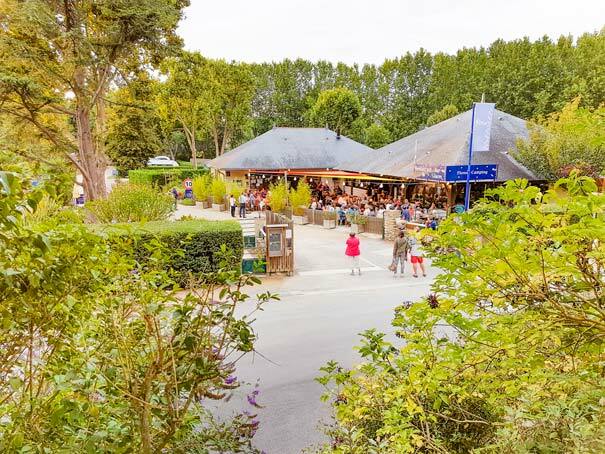 You wish to book a restaurant in Montreuil-Bellay to organize a reception, a banquet, a family or group meal near Saumur? 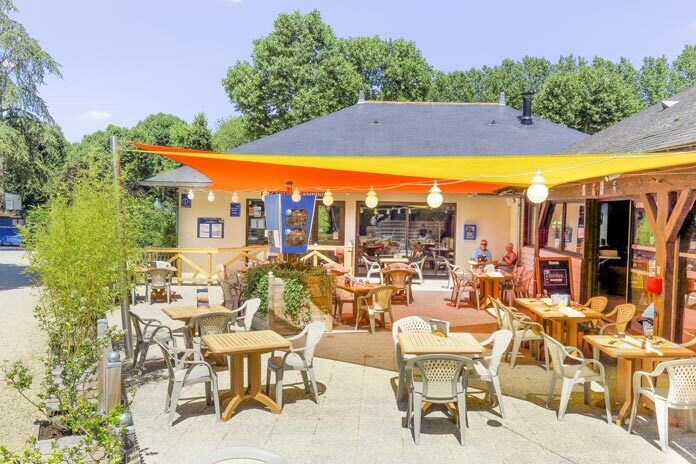 The restaurant Les Nobis d’Anjou welcomes groups and families for birthday meals, baptism, communion, cousins, retirement, association or company meals in le Maine-et-Loire (49). 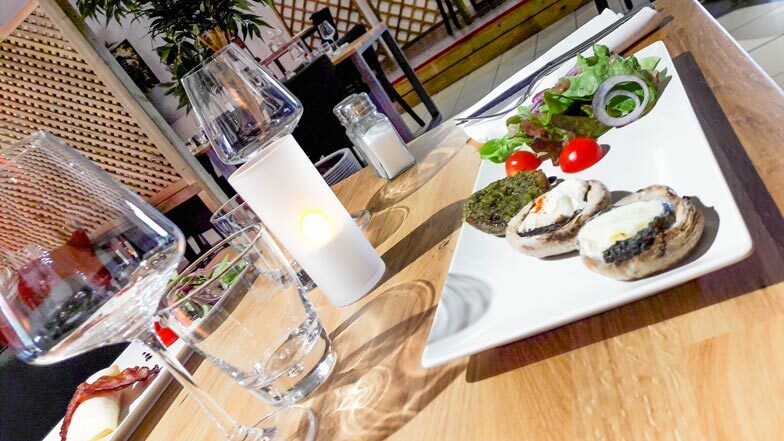 Here is the opportunity to meet in a warm setting around a simple and gourmet cuisine where originality is not excluded!